Many readers may already know that last month, a Christian girl child with Down’s syndrome was arrested for ‘burning the Quran’ under Pakistan’s blasphemy law and scheduled to be executed. Now, while the child is still in Pakistan’s jail, new facts have emerged, and it has been found that a mullah was behind the implication of the girl child and it was done by the mullah by planting false evidence. One of the deputies of the mullah could not check his conscience and knowledge of the facts, reported the incident to law enforcement, and testified before the court. Since then the Imam has been arrested and remanded to judicial custody, as Pakistan has been left with no alternative. According to the witness Hafiz Muhammad Zubair, who was a deputy of Khalid Chishti, the prayer leader of Jamia Aminia mosque in Mehria, the Imam had masterminded the entire incident and planted false evidence to incite the mob against Christians. 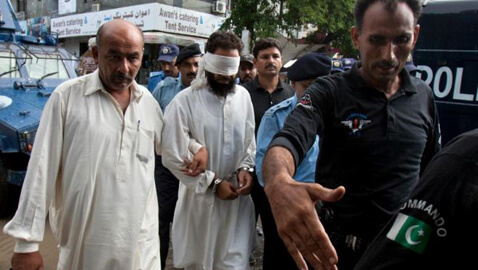 So, Chishti, who eyed the properties of Christians in the area, planted pages of the Quran in the bag of a Christian girl child suffering from Down’s syndrome to provide rationale for burning down Christian homes in Pakistan’s capital and send the girl for execution. According to eyewitness account, the bag with which the girl was caught originally contained some other papers and ashes. Zubair told the media, “When the bag was brought to the mosque, there was nothing in it. When he (Chishti) was given the bag, he went into the mosque and pulled out two or three pages and added them to the bag. One Malik Ammad, who is a property neighbor of the Christian girl, and the chief complainant, handed the bag to Chishti who then planted false evidence tearing off pages of the Quran and putting them in the bag of the Christian girl. While the girl-child is being held at a high-security jail and has little chance of release any time soon, an official medical board has concluded that Rimsha is aged about 14 years and her mental development did not correspond to her age. The Pakistan Ulema Council took note of the entire matter and the chief of the council, Allama Tahir Ashrafi, has asked the Supreme Court Chief Justice to take suo motu notice of the matter and initiate action against those who had actually desecrated the Quran and blamed the Christian girl for the incident.